Made for Adventure, this fabulous Keepsake retro weekend bag is just the thing you need to take on your travels! 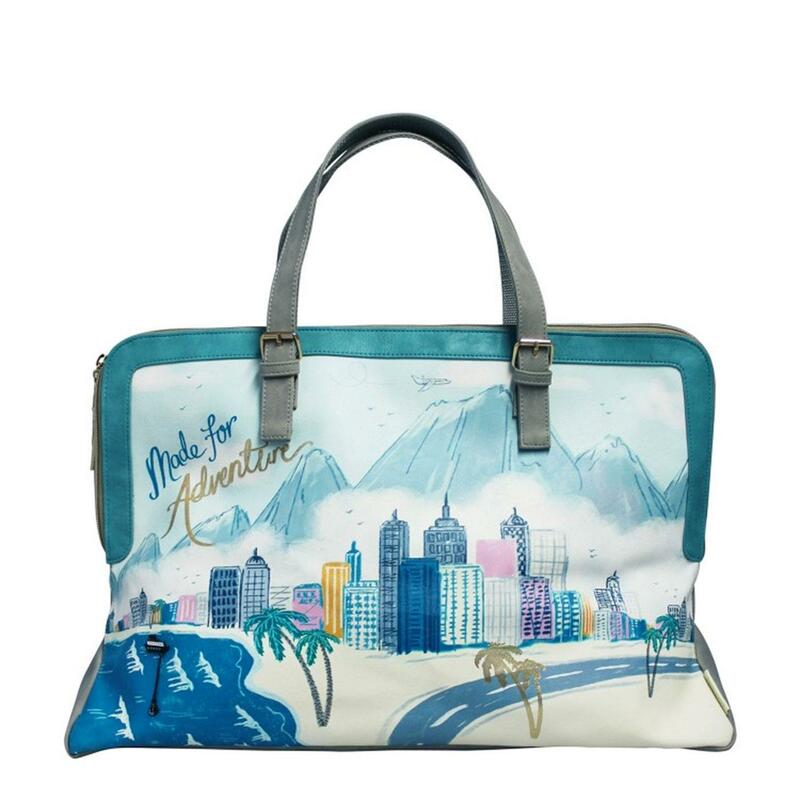 A large travel bag with cityscape design print to the front will have you drooling with wanderlust in no time. The Keepsake range from Disaster Designs features keepsake details, in this case a fixed applique boat pin and anchor. Two grey faux suede handles to carry and a retro gold zip fastening. Fully lined inside on pink with contrasting black and white edging, a side pocket and an additional zip pocket. Made for Adventure tag line finishes off this unique bag. Disaster Designs Keepsake range large retro overnight bag. Blue with grey handles and trim. Made for Adventure sign off. Measures: 53L x 35H x 18W cm approx.